Winter is an especially challenging time to collect blood needed by patients in local hospitals. And yet traumatic injuries and surgeries don’t slow down when the weather turns cold. 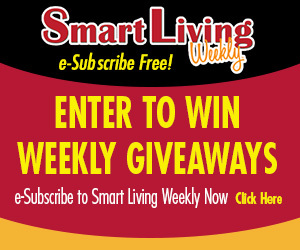 Congratulations to Betty Lundin, of Rockford, this week’s Smart Living Weekly giveaway winner! Betty takes home a $25 gift card to Arch, in Rockford. Next week’s giveaway is 2 tickets to Thomas the Tank Engine at the Discovery Center Museum, in Rockford. Enter now by visiting northwestquarterly.com/contest. This entry was posted on Wednesday, February 6th, 2019 at 5:00 am	and is filed under Arts & Entertainment News & Events, Business News & Events, Mind & Spirit News & Events, News & Events, Smart Living Weekly, Smart Living Weekly. You can follow any responses to this entry through the RSS 2.0 feed. Both comments and pings are currently closed.